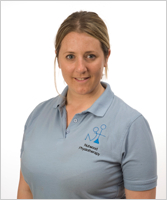 Established in 2006, Nutwood Therapies is a practice combining Physiotherapy and Occupational Therapy to provide specialist care. Physiotherapy is the only treatment and assessment recognised and deployed by the NHS. It has a scientific basis with treatments and assessments based on research and clinical reasoning. Physiotherapists use their skills to diagnose, treat, rehabilitate and maintain recovery. Most injuries, once treated should not require maintenance top up treatments. Occupational Therapists aim to restore function after injury or illness. They encourage independent living and function, recommending aids or adaptations when necessary to help to achieve this. Hand therapy is a specialist subsection of both occupational and physiotherapy. Our hand therapists work as generic practitioners meaning that they both have skills such as splinting and joint mobilisations so you only require one appointment. It is important after hand operations or injury that you see a specialist as they will know the limitations of your complaint and be able to safely yet effectively rehabilitate you back to full function. Our practioners are members of the British Association of Hand Therapists (BAHT).